Last week I joined a few girlfriends for a really fun night of Lime-A-Ritas, cupcakes, and makeup tips from a Charlotte makeup artist. I KNOW I KNOW I KNOW ... the perfect night. I wish I could take credit for setting up this fun night, but I can't. But you can set up one of your own with your girlfriends, AND take all of the credit -- go for it, girl! All you have to do is find a local makeup artist whose style you like and ask her for her rate to come out and spend an hour or two teaching her best tricks. It's a great way for makeup artists to get their name out to potential clients, and it's such a fun way for some girlfriends to spend an evening together! 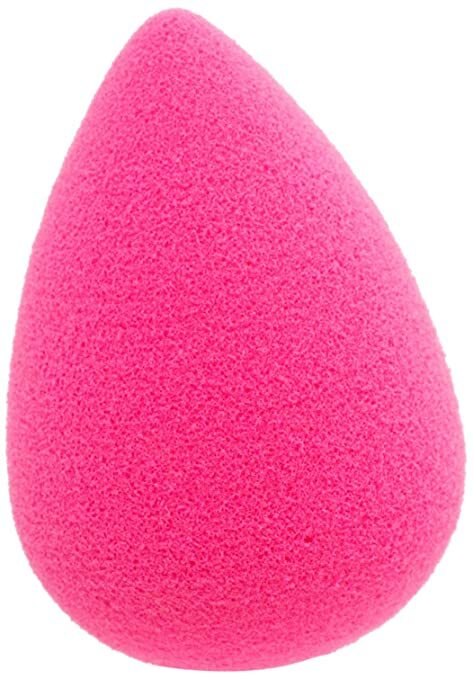 /// Use a Beautyblender (she recommends going with the original one) to smooth in your foundation and concealer. So, I have the cheapie version from TJ Maxx, and she confirmed my suspicions: all beauty blenders are NOT created equal. I could feel a major difference when she used the original Beautyblender on my face; way more soft and spongey-feeling, whereas my imposter version is more firm and less absorbent. She also mentioned that these need to be dampened to work best, so run it under the faucet and then give it a good squeeze. And don't forget to clean them regularly! These super soft sponges really do a wonderful job at blending your makeup in to your skin to achieve a flawless, airbrushed finish. 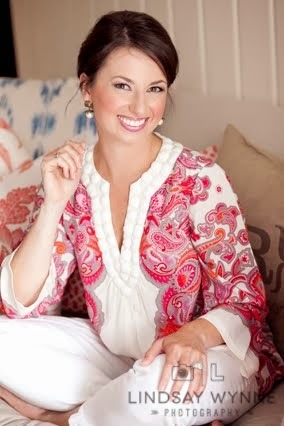 /// Use a light, shimmery color in the inside corners of your eyes to appear fresh and wide-eyed in photos. YAY - I've been doing this! A+ for me. And I agree, it definitely helps to brighten your entire face. 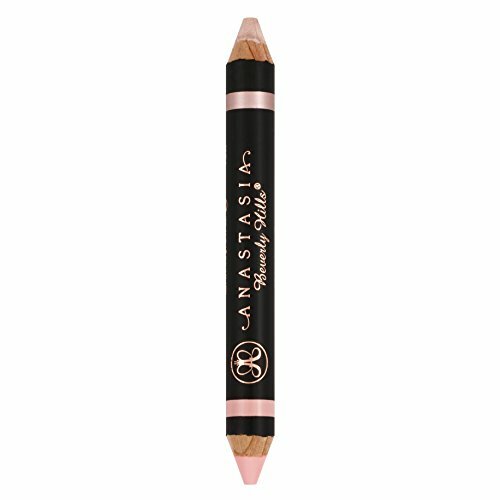 A blogger girlfriend turned me on to this Anastasia dual pencil and I love using the shimmery side for this very reason. I swear you can really tell a big difference in photos! /// To reduce the crinkly-eyed look (when your makeup settles into crows' feet), apply powder immediately after you apply your concealer. Nikki taught us this trick ... we were all ears. She applied concealer all around our eyes (including the eyelids -- another great trick) from the set I've included in the last tip below, and then immediately applied powder. Like, don't delay. She said that this helps reduce the amount that settles in to your smile lines. I've mentioned it before, but here it is again ... I love love love this $6 heavy duty concealer from Walmart! /// You don't have to spend a fortune on a great concealer/foundation/contouring set. Y'all. I can't get over this amazing last tip. This kit that she recommends is $13.95. And the makeup artist used it on me so I can vouch for the quality, and she swears by it. Jump on this deal. I sure did! 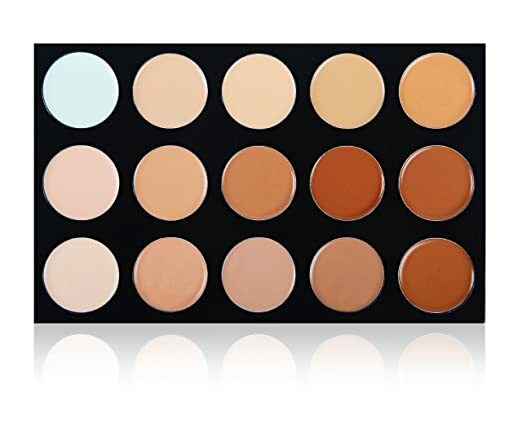 It has all different colors, even a pale green shade for reducing dark undereye circles, and darker shades that will either work for darker skin tones or to use for contouring. For tips on contouring, she recommended finding some videos on YouTube that look like the type of look you'd like to achieve (for example, I love Jaclyn Hill). It's amazing what a difference contouring makes in your overall appearance! So there are four of the tips she equipped us with that evening. Nikki was a wealth of information! And I mean, have you even ordered that $13 kit above yet?! Get on it! I love picking up little tips along the way! I will definitely have to try the powder over concealer trick! So I clicked on the link for the contouring set and I'm happy for you to get commission on it but does that mean everything I buy on Amazon from here on out you'll get rstyle money? The whole rstyle thing confuses me. Hey KGD! I'm fuzzy on the particulars myself, but here's what I understand. The link for that contouring set above will prompt Amazon to send me a commission if someone makes a purchase, but it doesn't distinguish between someone who just purchases that and someone who adds other items on to their purchase or purchases something else entirely. So, if you don't want Amazon to send me a commission for your additional purchase of coffee filters or printer paper (which is TOTALLY understandable!) then just make sure to clear your computer's cookies. I hope this helps - and thanks for supporting my blog by using the link above. I truly, truly appreciate it! What a fun night with your girls! I agree with the beauty blender thing, once I started using one I haven't gone back to putting on my makeup with a brush anymore. I actually bought the Real Techniques blender from Ulta and LOVE it, such a great sponge and great price point! Add one to the makeup tips list! Thanks! I'll do bridal makeups after some experiments.